In 1965, Pastor Garry married his high school sweetheart, Denise. In 1986, after 21 years of marriage they welcomed their first of five children through adoption. With the raising of their children they are now proud grandparents of four grandchildren. Pastor Garry, during this time was a licensed real estate agent for the state of California and was the builder of Hungry Tummy Café in Bellflower. He was also the office manager and certified property manager for Bruce Mulhern, Inc. From 1975-1978 Garry was California’s Orange County Sales Manager before accepting his calling to serve as full-time Senior Pastor of Hosanna Christian Fellowship, which served as a home study in 1976. 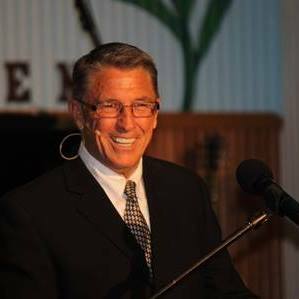 While attending Calvary Chapel of Costa Mesa’s Pastors School in 1977, Garry became an ordained Pastor. During this time, Garry taught a home bible study. From a small flock of believers Calvary Chapel of Bellflower (Hosanna Christian Fellowship) was born and continues to grow in size and maturity. Garry has been pastoring Hosanna the last 40 years. Garry has taught at Calvary Chapel Bible Colleges/Seminaries in Hawaii, The Philippines, South Korea, Hungry, England, Austria and Southern California. Pastor Garry received an Honorary Doctorate from the Korean Church for teaching in their bible college and churches during the 80’s. Pastor Garry is Co-Founder and President of Ambassadors for Peace (AM4Peace.org) Inc. A 501c3 corporation to facilitate religious rights resolutions around the world. Through this foundation, the Lord has opened doors for Pastor Garry to travel to Morocco, Laayoune, Egypt, Dubai, Bahrain, Syria and Indonesia. Plus, visitations with Ambassadors in Washington DC from around the world to facilitate non-ecumenical solutions to the dilemma of religious differences from every major religion. Garry currently sits on the Board for Hosanna Christian Fellowship, ASSIST (Aiding Special Saints in Strategic Times) International News and is the Executive Director of Lifeguard Relief Agency which aids the church, community and emergency needs for states that have fallen under disastrous conditions. He is also involved in the National Emergency Response Team for the Red Cross and a volunteer counselor for the Los Angeles Fire Department and Sheriff’s Department and is a former Sheriff Reserve. The last 18 years Pastor Garry has served as Chaplain for the Lakewood Sheriff’s Department and presently is the President of the Sheriff Clergy Council. Pastor Garry is also a Chaplain for one of Southern California’s largest medical facilities, Kaiser Hospital. Pastor Garry is a certified California Domestic Violence Counselor and Executive Director of Hosanna Christian Fellowships Counseling Department. Hosanna’s counseling department is state approved. God has opened this door for Hosanna to not only help the perpetrator but, also to aid and help in the healing of the victim. Recently, Pastor Garry accepted an invitation from the Sheriff of Los Angeles County to be a part of a special department dealing with human trafficking. Through this opportunity, he will be able to minister to the needs of the under aged victims in our area and to help heal and set the victims free.